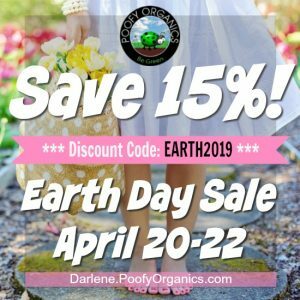 During these last 28 days of our Christian Green Living Challenge, we started with appreciation and praise to God for his gift of creation and the beauty of nature. We went outdoors, took in the beauty of his beautiful world and gave and continue to give thanks. We’ve also spent time these past weeks considering the environmental impact of plastics & disposables on the water supply, the animals, and the soil. We took time to explore and learn how to make better eco-friendly choices to protect God’s creatures in the ocean. Then, as good stewards, we spent some time considering, understanding and appreciating how everything and everyone is part of God’s world and how we all belong to him. 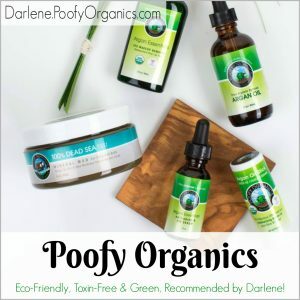 Then we’ve challenged ourselves to clean up our environment, learn about fair trade and challenged our water consumption along with a lot of other opportunities to become better stewards of God’s beautiful gifts. 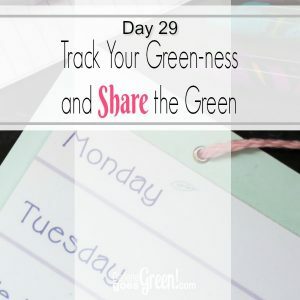 As we finish up our 30-day challenge today and tomorrow, let’s celebrate our success and evaluate where we might be able to improve as we continue our green journey. When were you most challenged during these past 29 days? Have any of challenges turned into habits? 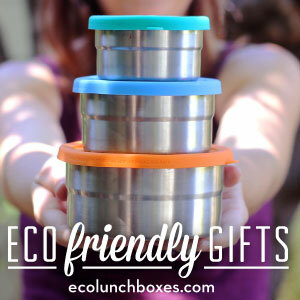 Do you find yourself thinking about what you buy and what you throwaway differently? In our prayers today, let’s pray again with gratitude, appreciation, and praise for the gift of creation. May God help us to see him in all things and give us the grace to respond to them with his great love! Track and share your challenge successes. Print (or track on your own scrap paper) your challenge checklist and evaluate your goals. 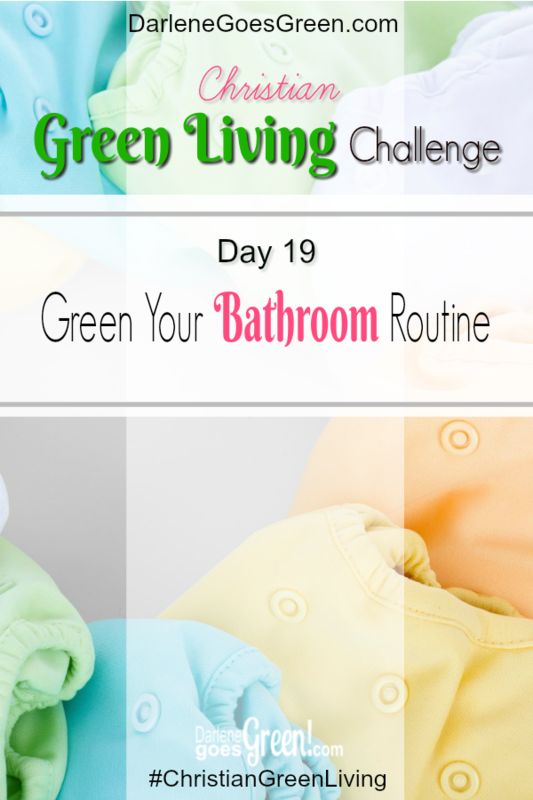 Once you’ve completed it, share it at #ChristianGreenLiving, with your family or with friends and encourage them to challenge their green goals too. 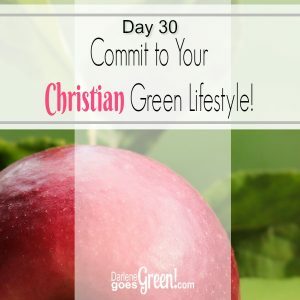 Download or view the checklist here: 30-Day Christian Green LivingChallenge Success Checklist. 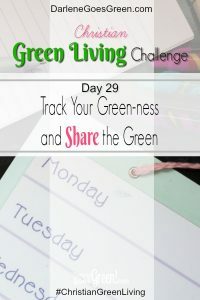 Don’t forget to share your checklist or your goals by commenting below and/or using the hashtag #ChristianGreenLiving!